<?xml encoding="UTF-8"> Cleaning Company | Office Cleaning Dalton | R & R Cleaning Service Inc.
R & R Cleaning Service was established in 1995. We are a commercial and industrial cleaning company that gives our clients professional cleaning and maintenance more economically. We are insured & bonded and references are available. Our employees are screened, professional trained and are fully bonded to provide our customers with the comfort and security they deserve. This is a responsible and reliable janitorial service specializing in customizing a program to fit your cleaning requirements. So if you are looking for a versatile cleaning service that does a better job, more economically then discover R & R Cleaning Service. A well-kept commercial or industrial space is necessary to improve the company’s image and increase productivity. Choose a trusted cleaning company to take care of your cleaning and maintenance needs. R & R Cleaning Service Inc. offers quality cleaning services in Georgia and Tennessee areas. We have been providing quality cleaning services in the community for more than 20 years. 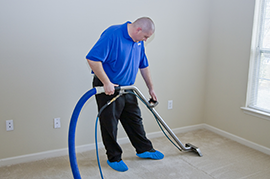 We employ the finest cleaning professionals to work on your place. 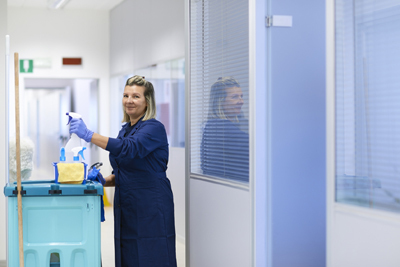 We offer professional janitorial solutions to keep commercial and industrial spaces in excellent condition. Expect high-quality maintenance services from us. Our customer-centric brand of service has served customers well and we have met the expectations of many businesses in the area. Clients are often impressed with our cleaning solutions. To know what other people say about our commercial cleaning services, read the testimonials that follow. A cluttered working space leads to less productivity. That’s why you need professionals for your cleaning needs. Our team is ready to provide excellent cleaning solutions for your company. Call (706) 226-2997 today for more information about our services.